The Grid Virtual Organization (VO) “Theophys”, associated to the INFN (Istituto Nazionale di Fisica Nucleare), is a theoretical physics community with various computational demands, spreading from serial, SMP, MPI and hybrid jobs. 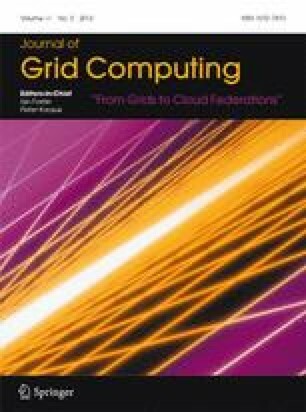 That has led, in the past 20 years, towards the use of the Grid infrastructure for serial jobs, while the execution of multi-threaded, MPI and hybrid jobs has been performed in several small-medium size clusters installed in different sites, with access through standard local submission methods. This work analyzes the support for parallel jobs in the scientific Grid middlewares, then describes how the community unified the management of most of its computational need (serial and parallel ones) using the Grid through the development of a specific project which integrates serial e parallel resources in a common Grid based framework. A centralized national cluster is deployed inside this framework, providing “Wholenodes” reservations, CPU affinity, and other new features supporting our High Performance Computing (HPC) applications in the Grid environment. Examples of the cluster performance for relevant parallel applications in theoretical physics are reported, focusing on the different kinds of parallel jobs that can be served by the new features introduced in the Grid.